Mahabeleshwar Valley India is a painting by Ujjagar Singh Wassan which was uploaded on October 5th, 2010. 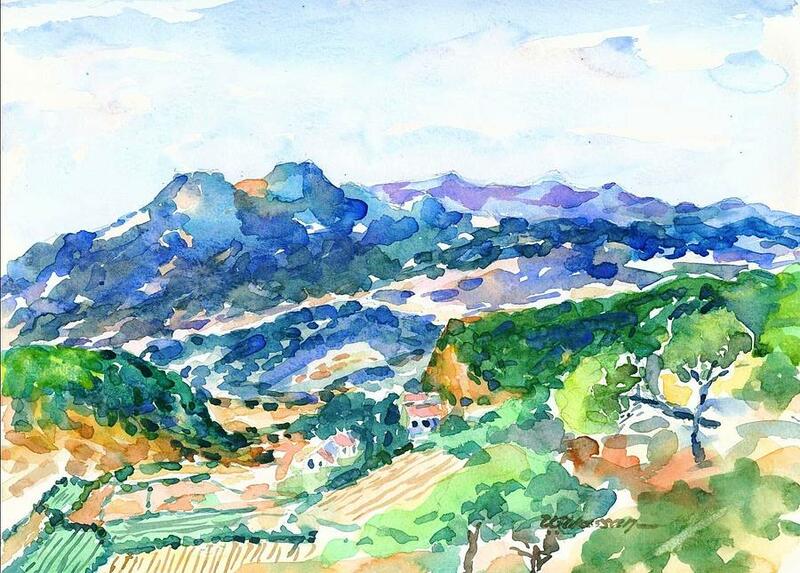 The blues, greens and splashes of oranges makes this valley scene a refreshing sketch. There are no comments for Mahabeleshwar Valley India. Click here to post the first comment.